In 1948, a young, recently married couple purchased a small retail flower shop in the small town of Sedan, Kansas. Jim and Eileen Cudé immediately loved the town, but with only $900 of retail sales the first year, something different was needed. Jim had some bold ideas of selling flowers in the warm climate of the Deep South. 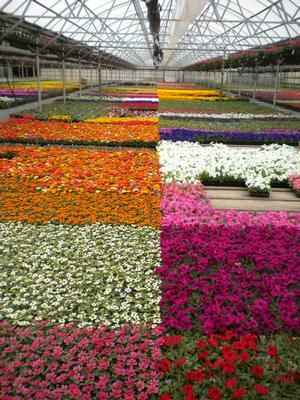 Jim and Eileen never imagined their little business would grow to be one of the largest greenhouses in the Midwest devoted to the production of bedding plants. 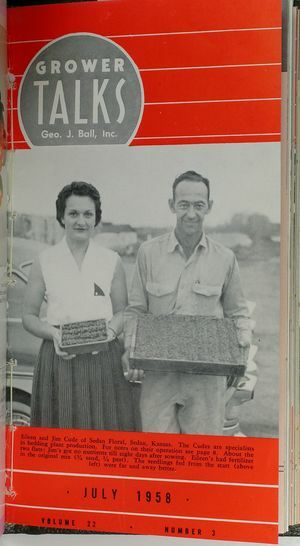 By 1960, Sedan Floral was shipping 200,000 plants daily during the spring season. To keep up with the growing demand, Jim was steadily expanding and growing new varieties. Jim believed in growing top quality plants and providing prompt service to customers. This simple formula was key to his success. In 1969, Jim passed away, but Eileen made sure to continue his philosophy of growing top quality plants and providing prompt service to customers. In 1975, Jim and Eileen's second son, Gary, joined the family business as general manager. Gary was 19 at the time and worked his way up, learning the business and implementing new ideas of improving efficiency. Gary continued expanding the growing area about 20,000 square feet every year. This increase was necessary to keep up with strong customer demand. In 1989, Gary purchased the business, and built a second growing range in Independence, Kansas. With both facilities in operation during the Spring, Sedan Floral is able to provide its customers with plants they can depend on. In 2007, Gary's son, Jonathan, returned home after graduating from OSU to become the third generation to join the family business. Jonathan has brought new life to the greenhouse. Sedan Floral is reaching out to all of its customers, asking questions, and working hard to improve all aspects of our business. 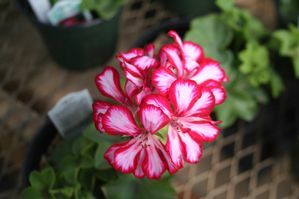 As many greenhouses across the country are cutting back or closing their doors, Sedan Floral is adding new product lines and increasing production in numbers not seen since the 1980s. With a bold new focus and product development, Sedan Floral has increased its variety and selection two fold. 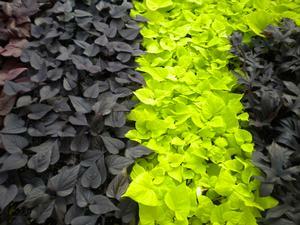 From customer requests, Annuals, Perennials, Grasses, Herbs, and Vegetables have been added to its catalog. The change has been a lot of fun and hard work. During this time of transformation, Sedan Floral has not forgotten Jim Cudé's philosophy that has sustained the company since 1948: "Grow top quality plants and provide prompt service to customers." Sedan Floral is a member of OGGA & ONLA, WNLA, and KGGA. 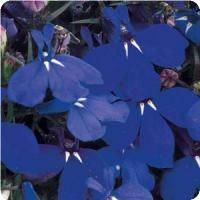 We also grow many of the Oklahoma Proven, and Prairie Star plants. To find out more about them check out their website. A little bit about Sedan, KS… Sedan was founded in 1876 and is the county seat of Chautauqua (CQ) County. Sedan is located in the beautiful wooded Flint Hills of southeast Kansas, near the intersection of US-166 and K-99. As you enter Sedan from the south, you will see Sedan Floral. It is quite a sight, with our eight acres of greenhouses laid out over the landscape. What you do not see from the road is the beauty within the walls of the greenhouses, where everything is blooming!